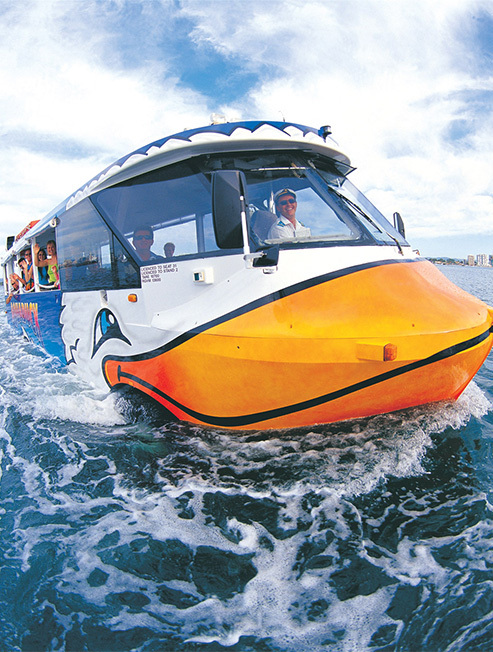 Your unique land and water adventure begins with a city tour past the landmarks and along the famous golden beaches of Surfers Paradise. 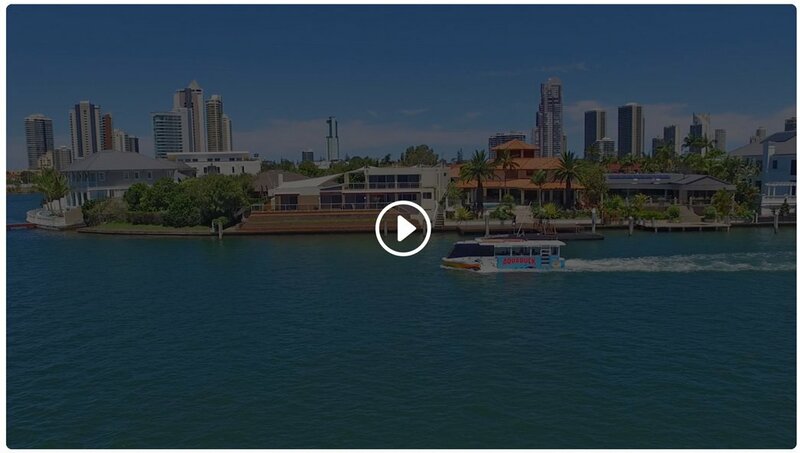 Then, be amazed as your vehicle is driven into the Gold Coast Broadwater and instantly transforms from bus to boat. 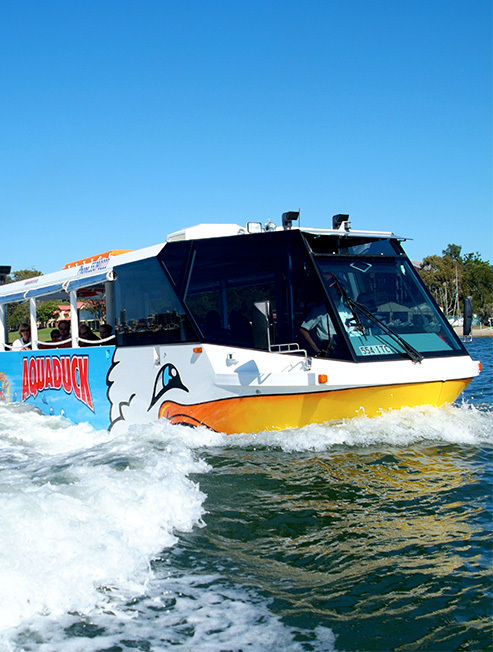 Aquaduck is also a popular Gold Coast river cruise giving you chance to walk around on board, pull out your camera as you cruise past the glitzy mansions of the Surfers Paradise rich and famous and look out for wildlife in the waterways. 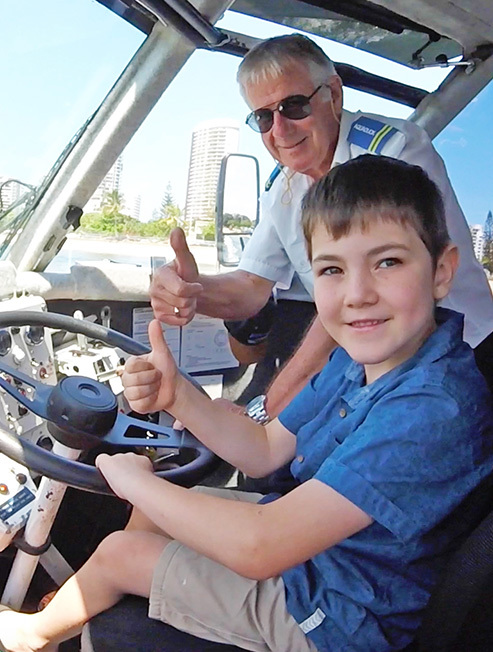 Kids even get to drive the ‘Duck’. 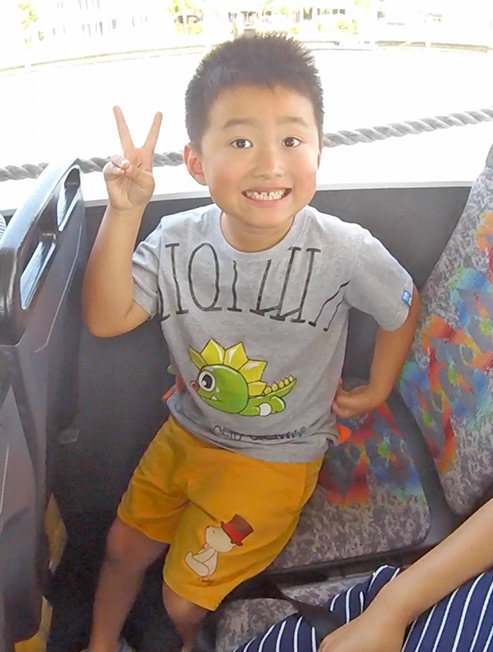 It’s the ‘must do’ family activity and is suitable for people of all ages. Mum’s and Dad’s have your camera ready. 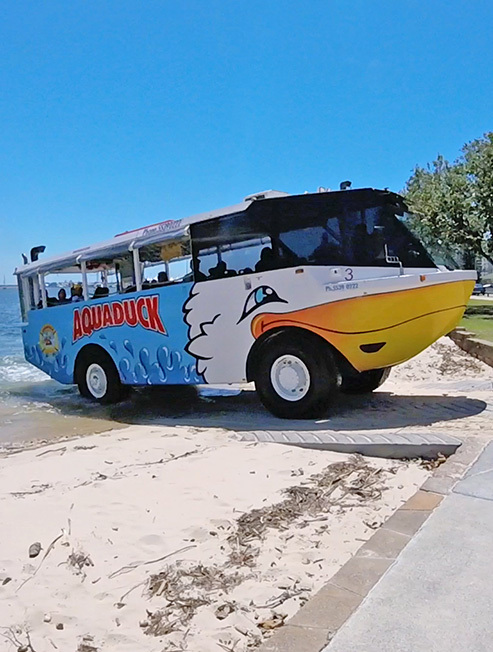 Once we hit the water, kids have the opportunity to take the wheel and drive the Aquaduck. 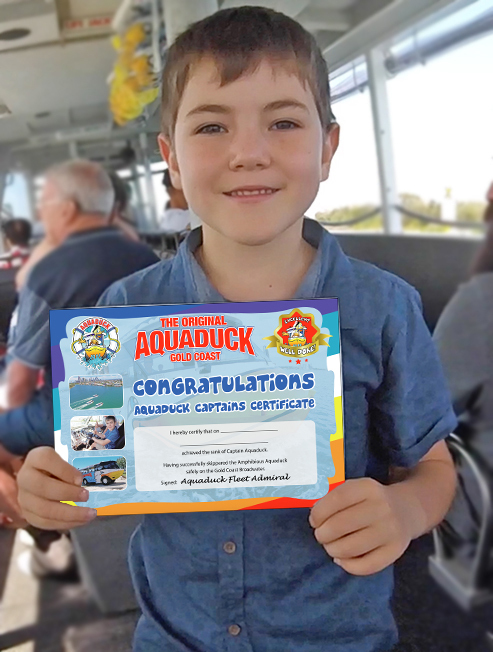 All our junior skippers will receive a free Captains Certificate to take home and show their friends and family. 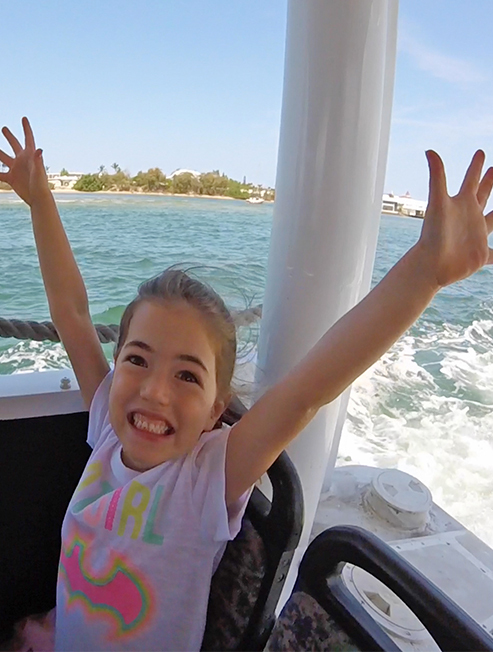 We loved our ride on the Aquaduck our captain was funny encouraging the kids to be a part of the tour & drive.